Smart Thermostats for Renters: Is There a Good Option? Are you thinking about making your home a smart home? If you’re a renter, you may be thinking that this is out of your grasp. But if you have a property that you love renting, you can still upgrade it… you just need to focus on upgrades that you can potentially take with you when you leave. 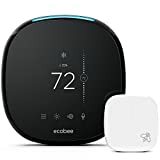 One great choice can be a smart thermostat, but because it has to be wired in, it can be a little more complicated than something like lights. Stop! Check Your Lease First! Why Would You Want a Smart Thermostat? Are better for the environment. How Does Your Heating Work? Before you start looking up smart thermostats, keep in mind that how your heating works matters. If your heating is communal, in an apartment, there’s going to be very few ways a smart thermostat can be wired in. In many apartment situations, the thermostat either doesn’t control temperature at all (some are disconnected!) or the thermostat simply controls whether the vents open or close. And, of course, if you’re not paying for the amount of energy you use, it might not be a good idea. Once you’ve determined how your heating and cooling works (and, potentially, gotten permission from your landlord), you may be wondering what your actual options are. Smart thermostats such as the Nest require only a few screws, but they also require the threading of a few wires. However, even if you get permission from your landlord, you still might not be able to install a smart thermostat. Older buildings that use high-voltage systems aren’t compatible with devices like the Nest. Most landlords will be fine with this as long as you’re paying for the cost of the thermostat. They might even be willing to reduce your rent to compensate for it, if they want to keep the system after you leave. But you need to be confident with the installation, and, again, the home needs to have fairly new wiring. 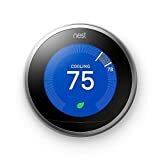 For most people, the Nest thermostat is going to be the best bet because it is mostly controlled wirelessly and requires very little in the way of tools or preparation. But again, more advanced systems can be installed if you have permission from your landlord. In the future, more systems will likely be easier to install, modular, and wireless. 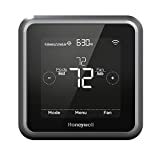 Ultimately, you can install any type of smart thermostat with the help of your landlord, and most thermostats are useful enough that a landlord will be on board. 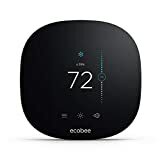 Smart thermostat are easy to install, and landlords enjoy them because they boost the value of their rental. For more information about smart home technology — and whether it can fit into your home — contact the experts at Protect America.